It is no big secret that I read...a lot. I am a passionate bibliography reader. Why? Because the careful reading of a bibliography is like a treasure hunt. One never knows what truly great books might be found by reading the books the writer read. Of course, it is an addiction, much like gambling, but I don't care. 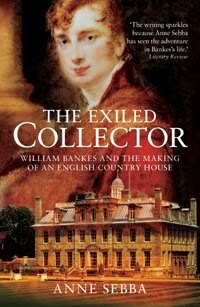 One such treasure I recently uncovered while reading about Brideshead was this biography of William Bankes by Anne Sebba. 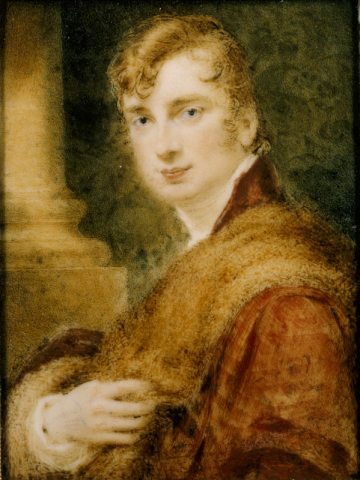 William Bankes was one of those guys who had it all; Egyptologist, traveller, former Tory MP, friend of Lord Byron and oh yeah sodomite. It was that last one that got him into trouble. On 30 August 1841 he was caught in compromising circumstances with a guardsman in London’s Green Park. In 1841, such shenanigans were punishable by death. 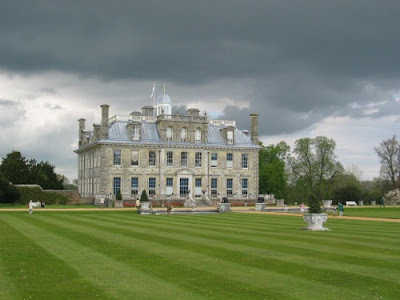 So Bankes fled to Venice leaving behind his stately home, Kingston Lacy. Declaring Bankes and outlaw with a vindictive and archaic procedure, the Government was entitled them to seize Kingston Lacy. 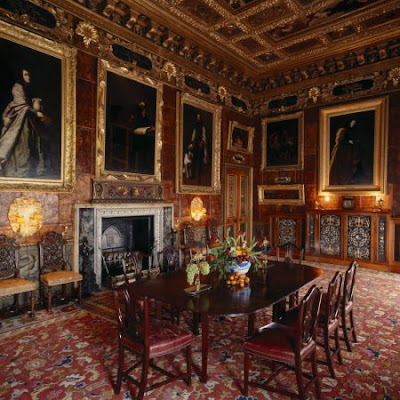 The seizure, however, didn't keep Bankes' family from living in the house and it never stopped William Bankes from decorating! Undeterred, William Bankes continued to decorate his house in abstentia. He designed works, commissioned art and architectural designs, oversaw the landscaping and generally ran Kingston Lacy from Venice. ‘The Separation of Night and Day"
The Library features a ceiling fresco by Guido Reni. 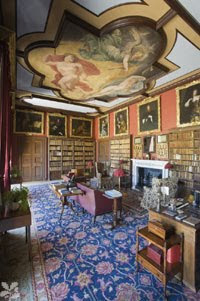 The Spanish Room, sometimes called the Golden Room is considered to be the most extravagant room in Kingston Lacy. The walls are hung with Spanish masters, including Velazquez's portrait of Cardinal Massami. 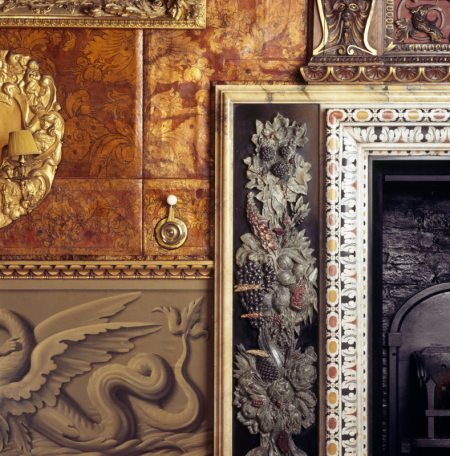 The walls are hung with gilded leather. The fireplace surround was crafted and shipped in pieces. Many of his architectural designs were commissioned with only a vague reality of size and shape. Many times, designs arrived broken or incorrectly measured, leaving them unusable. 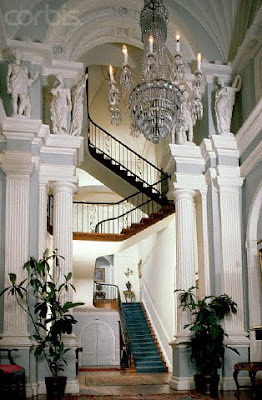 William Bankes favorite feature of the house was the 30 foot wide Carrara marble staircase that rises from the entrance -hall to the second floor. Outside, Bankes planted 731 birch trees as a gift for his mother. 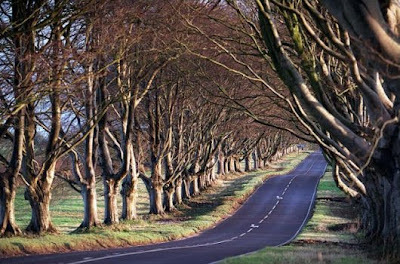 The allee features 365 trees on one side, representing a regular year and 366 on the other, symbolizing a leap year. 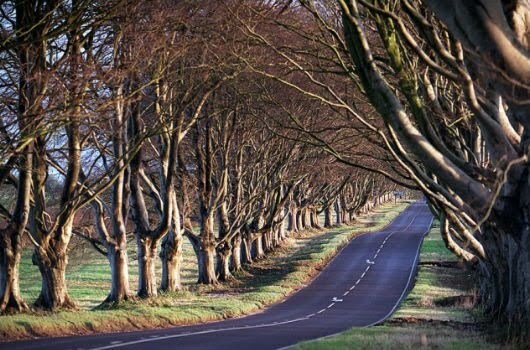 Recently, several of the trees were deemed ill and cut down. 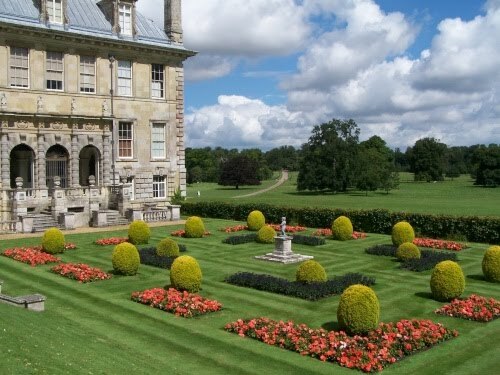 So if you are off to the English countryside and need someplace to visit, might I suggest Kingston Lacy. And yes, grab a copy of The Exiled Collector, you won't be disappointed. It's amazing how blogging synergy works. This morning I did my final post about Vizcaya, which brought a comment from the man who does the blog for the British National Trust, mentioning that he was currently reading the biography of Bankes, which sent me scurrying to Amazone, and then, on my daily check of Little Augury, here he is again! Gorgeous gorgeous stuff. And the cats and eggs yesterday were just delightful. Lucina, how amazing, I am nearly speechless. A wonderful story and the historic propery is stunning!! My fave part of blogs it that exact synergy. I pull out a book and I swear, someone else is reading it as I speak. How great is that! That stair case is exquisite, like climbing to heaven. For another celestial experience click here. I doubt anything short of death would have prompted me to leave this opulence. Thank you for the introduction to this most notorious of pariahs. Banks is exactly the kind of complex personality that makes for excellent reading - talented, troubled and tragic.